CHECK OUT ALL OUR POSITIVE GOOGLE REVIEWS BY CLICKING HERE! We pick up and deliver quickly within the Wellington CBD and can also arrange courier delivery to anywhere within NZ. Call us on 473-1444 to arrange. Do you have large runs of A1 or A2 architectural plans? We offer competitive rates and fast turnaround. Wherever possible we endeavor to do small print runs and copy jobs while you wait. Come in and see our friendly staff. Get a pull up banner for your store, promotion, event or conference printed today! For an awesome price of $180 + GST. 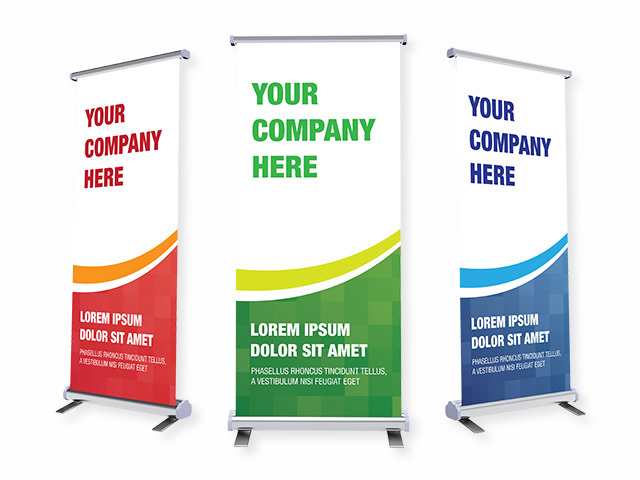 The pull up banners measure 850mm x 2m and make a big impact. See in store today for an example of what they look like before ordering your own!